Much deliberation went to my purchase of Guerlain Meteorites Cruel Gardenia. Much more than I thought was necessary for something that was a) so pretty, b) what is seemingly so universally lauded. But all I had in mind when I saw this at three different counters was "but I already have so many highlighters!" Ah, rationalization. I must be growing up. As an aside, can I say how pleased I am that I was able to snag this (albeit the last one at the counter) almost a month after it came out? I'm glad Guerlain learned from the Blush G fiasco, where the blush sold out nationwide literally a week after it hit counters. So why succumb at the fourth visit? I suppose peer pressure is the answer (so much for growing up). Every blog I was reading was hurling praises at this aesthetic marvel, and I thought long and hard and figured I didn't own an opal pink highlighter with such a marvelous texture. 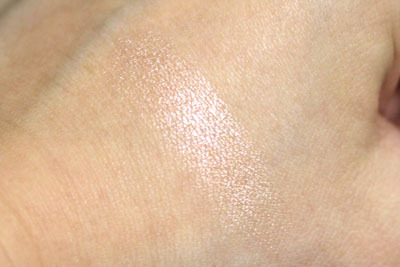 Based on online swatches, I thought the highlighter would be too frosty for my taste. 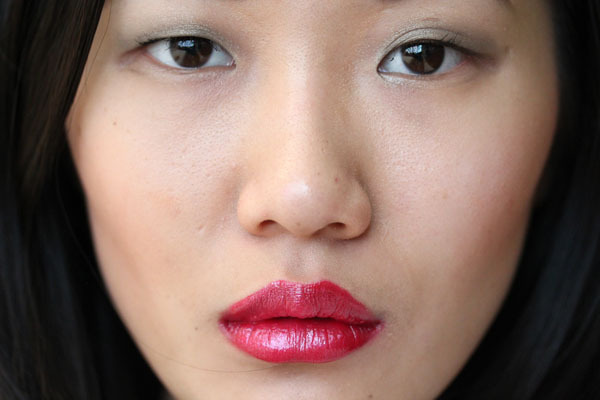 But makeup works in mysterious ways, or perhaps our skin is just different from arm to face. 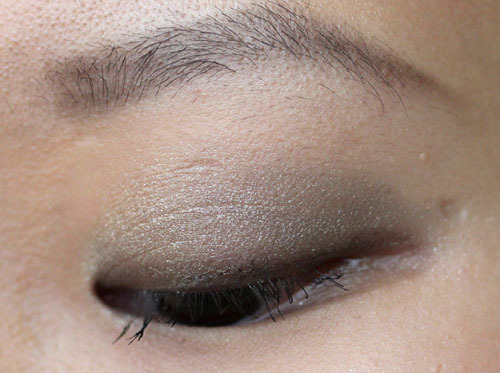 This subtle powder fits well into my "Asian makeup" routine, but I don't know if this is everyone's cup of tea. 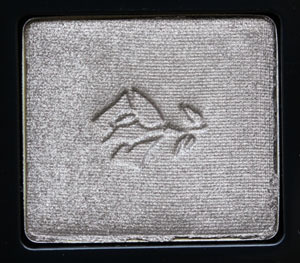 For example, if you're a fan of really pigmented shimmer powders such as Dior Shimmer Stars, or have an intense need for highlighters to "show up," this is not the product for you. 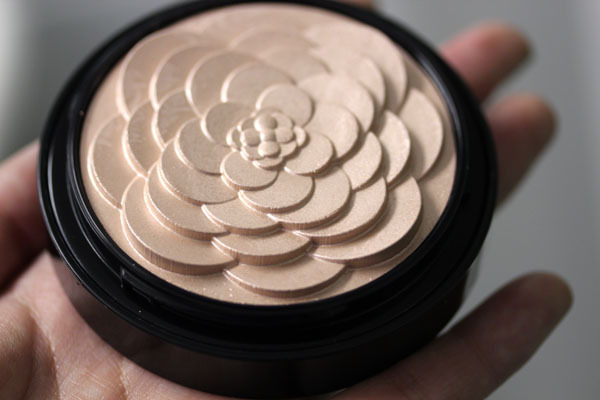 Think veil of luminescence when it comes to this Guerlain powder. Guerlain Meteorites Cruel Gardenia retails for $67. I think plenty of places would be sold out by now, but check your local counters and you might just be a lucky, lucky girl. 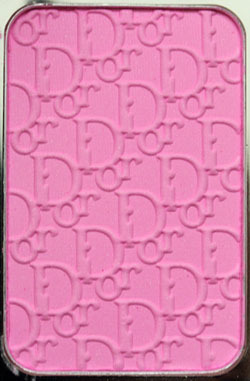 While it is sold out at pretty much everywhere online, saksfifthavenue.com curiously still has it for pre-order. I never pegged myself as a cool pink blush type of girl, but this winter I've been purchasing one artificial flush after the other (damage so far: Le Metier de Beaute Creme Fresh Tint in Mystique, NARS Gaiety, and a Sleek one, though its name currently eludes me). 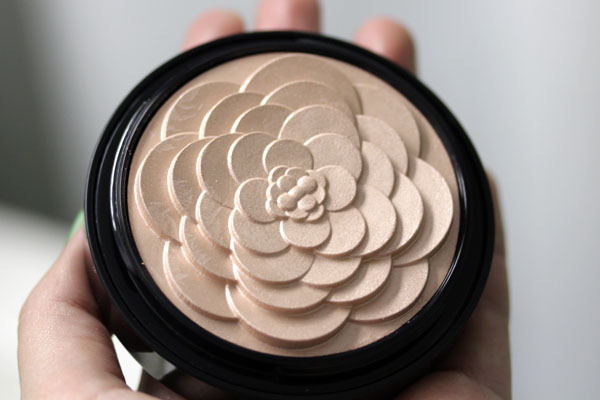 Ever since I saw the promo pics eons ago, I knew without a doubt that I wanted Rosy Glow, so I bought it sight unseen along with Waterlily. Supposedly this blush "reacts with moisture in each skin type" and changes color after initial application to suit every complexion. I haven't seen another person wearing this so I couldn't quite press my cheeks to the poor soul to see if the statement holds true. 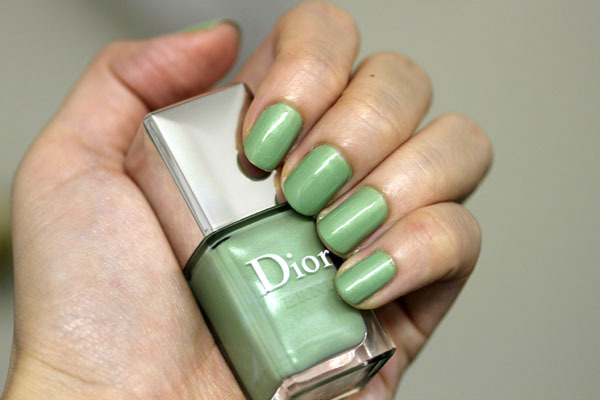 Regardless, it is a pretty color on its own. 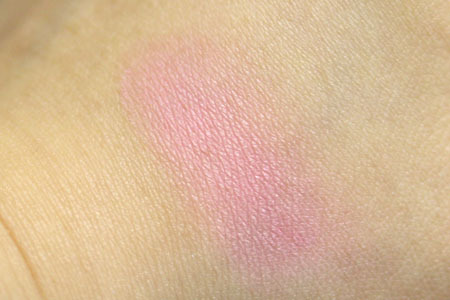 Another pleasant surprise is that it does as it claims and remains on my cheeks all day long. Not many of my blushes can boast that. 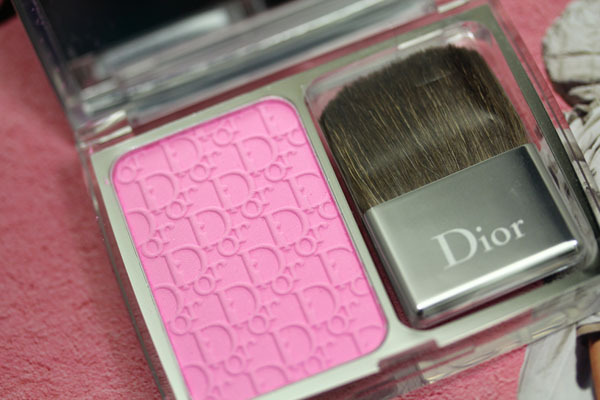 Dior Rosy Glow retails for $44 and should still be available at major department stores. 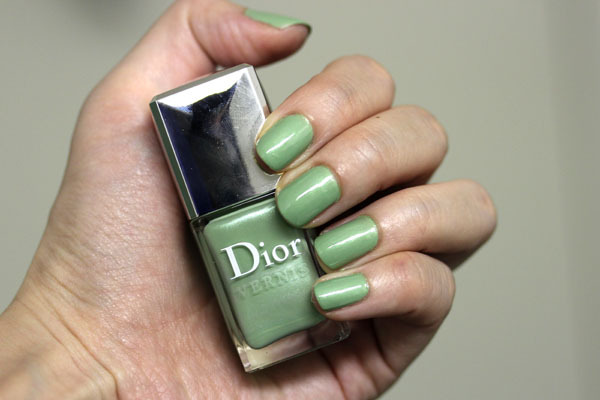 I purchased mine from dior.com but it looks like it is sold out there. Sephora.com still has it in stock though! As promised, more Suqqu! 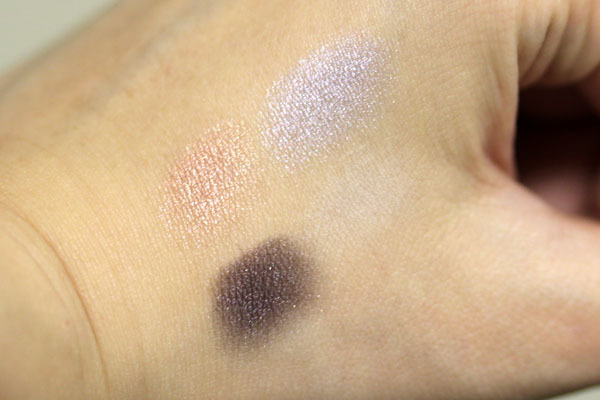 I bought four out of the available eight of these babies (yes, my heart is content), and the lucky first on Messy Wands is the Blend Color Eyeshadow 08 Mizuaoi. 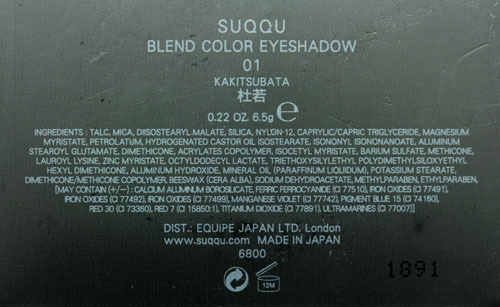 There is a set theme to all the Suqqu Blend Color Eyeshadow palettes. 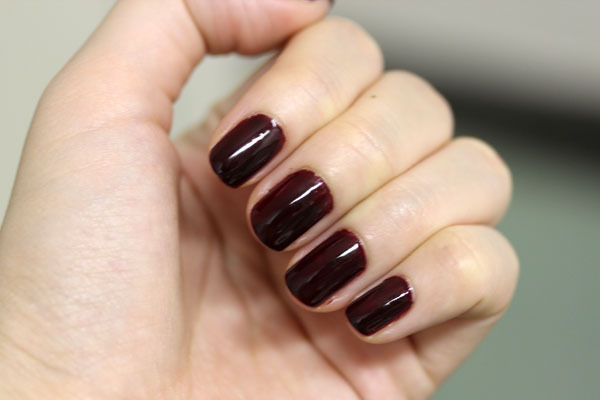 The bottom right shade is the base color, usually a matte white; the bottom left shade is for lining, the top right shade for the outer corners, and the top left shade for all over the lid. 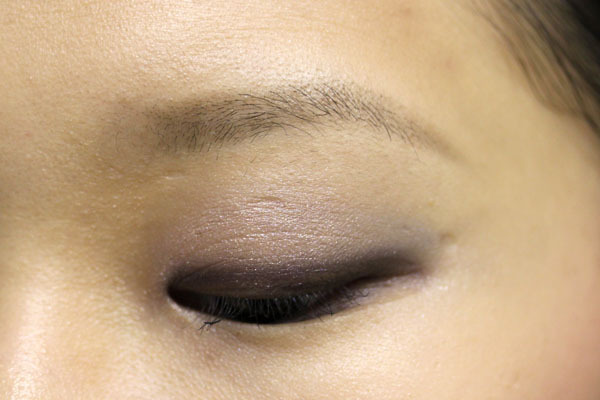 I applied it as such in the photos below, with a smidgen of the purple and blue on my bottom lash line. Perhaps it's a Japanese makeup thing. 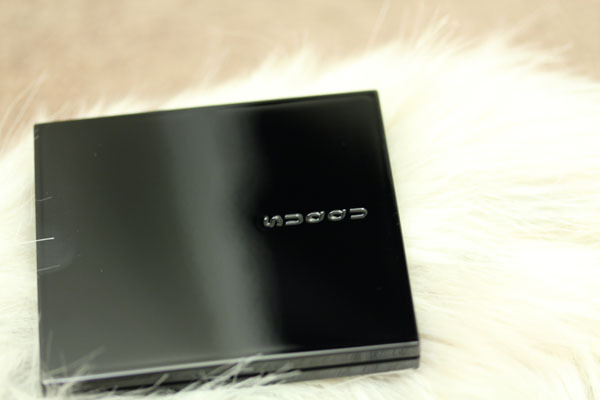 Like my experience with Cle de Peau, the Suqqu quad is super smooth and a pleasure to apply. 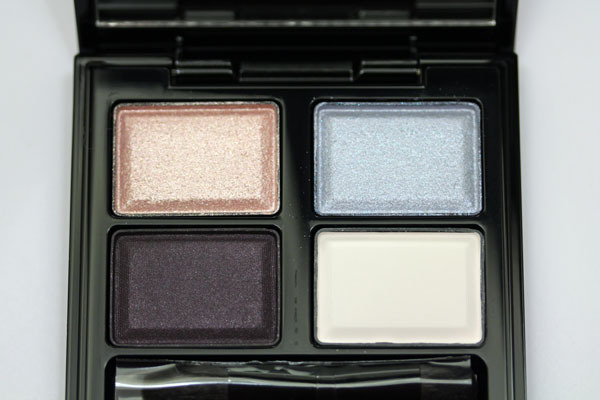 It imparts a light veil of color on your lids - I don't want to use the word sheer because that's not an accurate description. 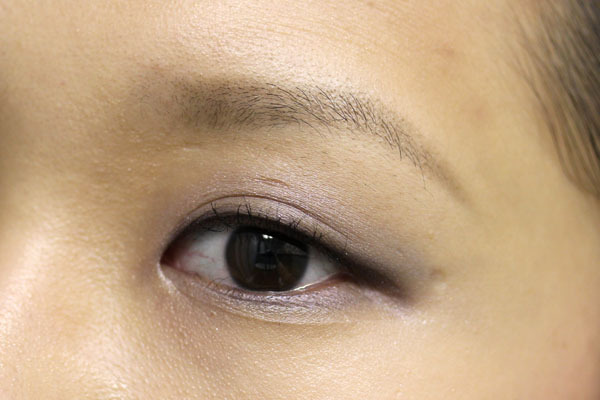 It's more like their eyeshadows are meant for subtlety, which I suppose is true for "Asian makeup" in general. If you like this, you're in luck. 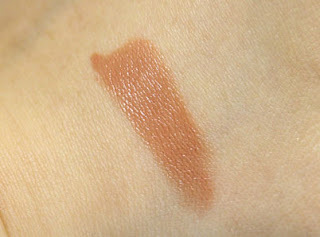 Suqqu Blend Color Eyeshadow 08 Mizuaoi is available at dollyleo.com for $71 (though eep at the price!). There are some reviews I hesitate to do, like foundation, skincare, and well, mascara, just because those items belong in such subjective territory (and if I were to be completely honest, because those are hard to photograph too. I tried taking a million before/after pictures when it comes to foundation but it looks the same). Nevertheless, consider this a shaky first step into expanding product reviews to a broader range. Along with the lip products, Ellis Faas sent me some eye products as well, which includes a mascara. I was surprised then because I didn't know the comapny made mascara (or blush, the packaging gave me the impression that it was strictly a lip/eye/skin thing). 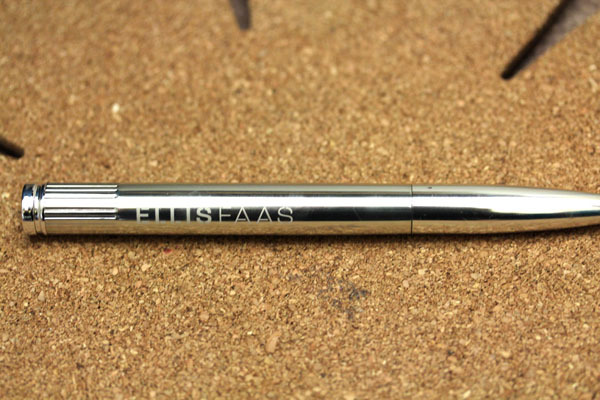 The Ellis Faas Mascara is said to do three things: coat, lengthen, and separate. 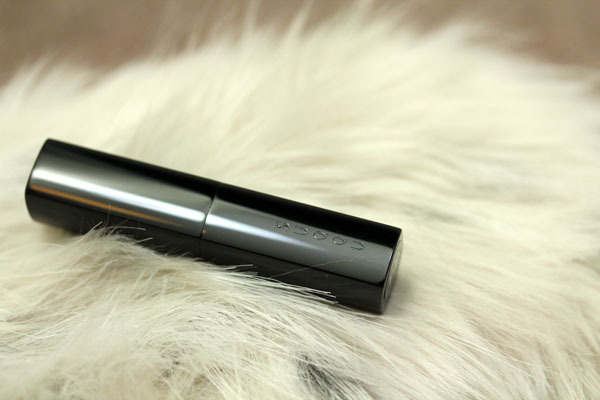 It is housed in the same bullet-type packaging, but it's the most "normal" of all its products in that you screw the top open to find a regular mascara wand waiting to make an impact on your lashes. As far as its coating and separating and lengthening qualities, all is well. I mean, this is mascara. 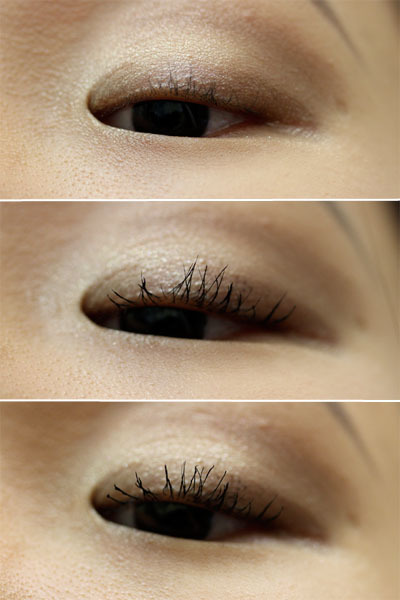 If it gets the job done on my straight nonexistent Asian lashes (seriously. did you see that first picture? ), I'm happy. 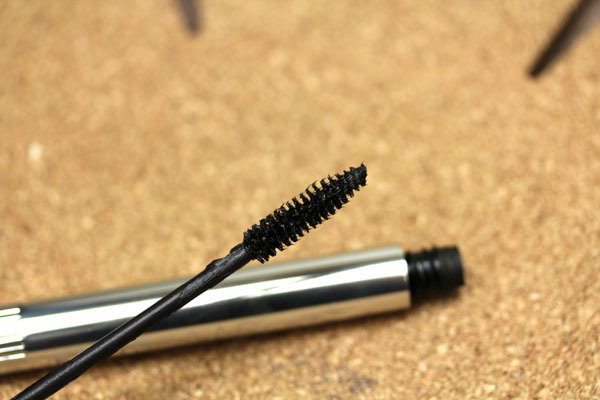 I prefer using this mascara on top of another, like one with a volumizing formula, to get the best use out of it. I know this mascara comes at a shocking price, but the one thing that justifies it for me is at the end of a long day, my lashes remain curled as if it just went through a round of pinching. 'tis a novel feeling, that. Ellis Faas Mascara retails for $34 and is available at ellisfaas.com, sephora.com, and Space NK. The product in this post was sent from the company for review purposes. 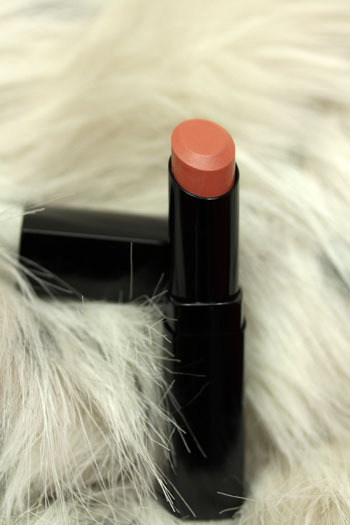 P.S: I've picked a winner for the Lancome Erika F giveaway! Back to the grind (or not, Happy Martin Luther King Jr. Day everybody). I had a wonderful trip back home and my few short days in London was nothing short of perfect. I don't think I've ever been so happy for a full entire month. I also obtained a few covetable items from London that I cannot wait to show you, but jetlag and cleaning and certain preparations for my first day back of school necessitates new pictures to take a step back. Some digging through the folder of unused pictures ensued and I stumbled upon these of Gloss d'Armani #400. With Chinese New Year coming up in a week, it felt like the ideal item to feature. 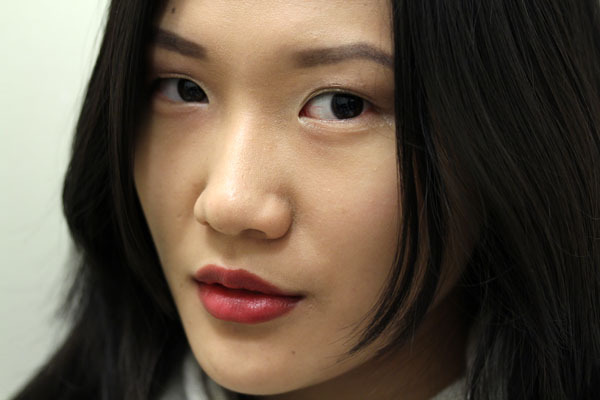 Longtime readers might recognize this eye look from the Rouge d'Armani #400 feature from two months ago. 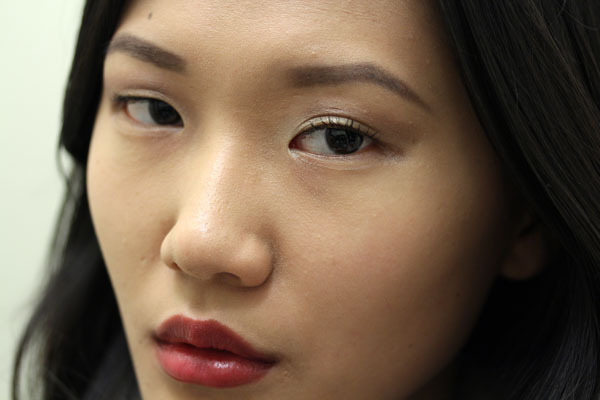 I used Giorgio Armani Eyes To Kill #13 (black) as my liner, then placed Burberry Midnight Brown on the lid and blended it into the liner. 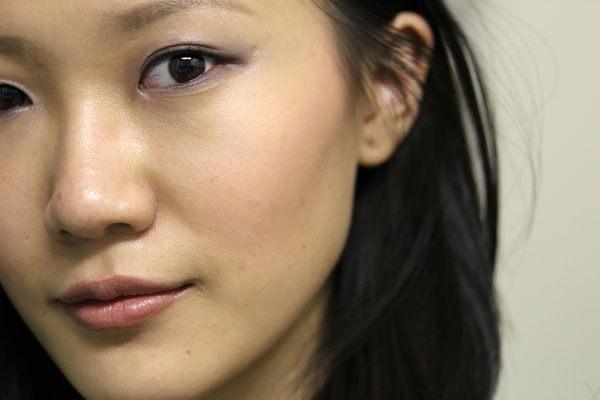 Continued with Burberry Rosewood in the crease, blended that into the lid color, and finished off with Burberry Trench as my brow highlighter. 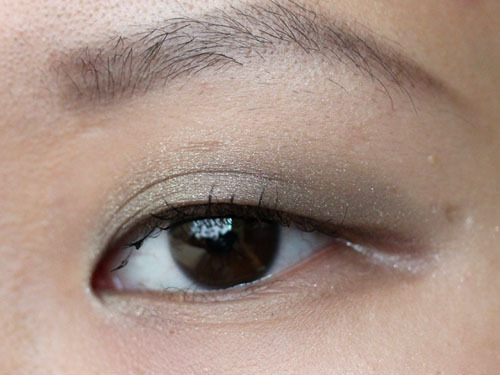 It was very gradient-y and involved much blending. As for the gloss, it's the longest wearing gloss I've tried in my life. 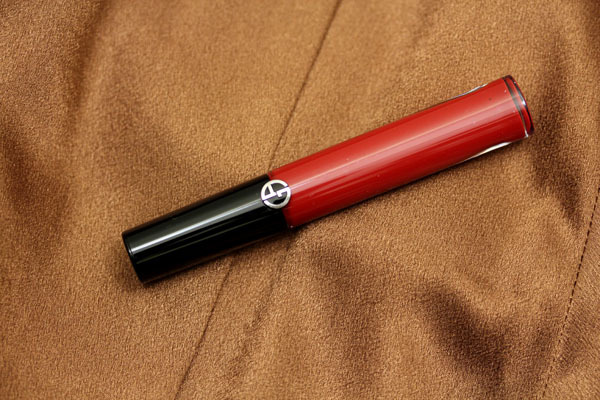 The Gloss d'Armani formula is one of my favorites: the applicator is squishy in a super fun way (you have to try it to understand what I mean), the gloss itself is long-lasting, super comfortable, and (very important) doesn't dry out my lips like some glosses do. The only downside is it smells like ink. Gloss d'Armani #400 retails for $28 and is available at giorgioarmanibeauty-usa.com. 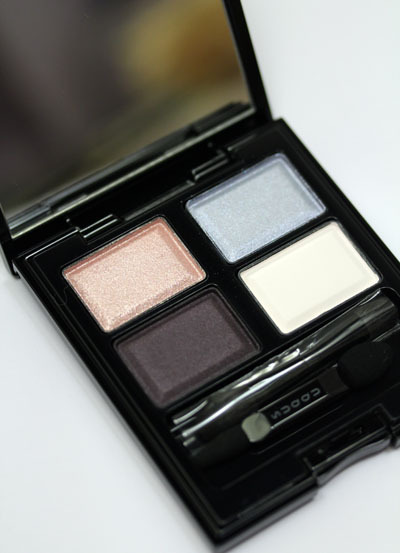 P.S: Nine hours left to join my Lancome Erika F giveaway! This hello is accompanied by a bashful wave. I know I haven't been on my regular posting schedule, but I will be soon! My holiday's almost over. I'll be flying for the next few days and back to the States on the 15th. I have the most exciting semester ahead of me, and though my heart (and my body heat) does not want to leave home, I really can't wait to get back into the grind. 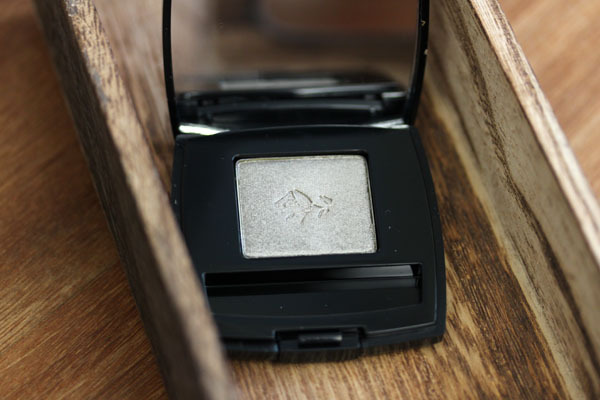 Today's feature is the infamous Lancome Erika F, a shimmery green-gray eyeshadow that has reached cult status among beauty bloggers and makeup users alike. It is unfortunately a Euro/Asia exclusive, and I thank my lucky stars that I chanced upon it during my transit in Rome. The way some bloggers describe this, it might as well be a candy-making unicorn leaping above a rainbow. And well, it really is. 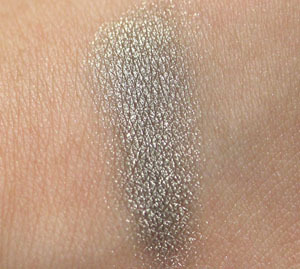 The swatch is pretty but no one prepared me for how it will look on the eyes. The pictures below do not do it justice. You know how certain types of books always has a heroine with a glimmer in her eyes (which doesn't make sense in real life)? Well, this is that mysterious abstract glimmer on the eyelids, and a multi-dimensional one at that. 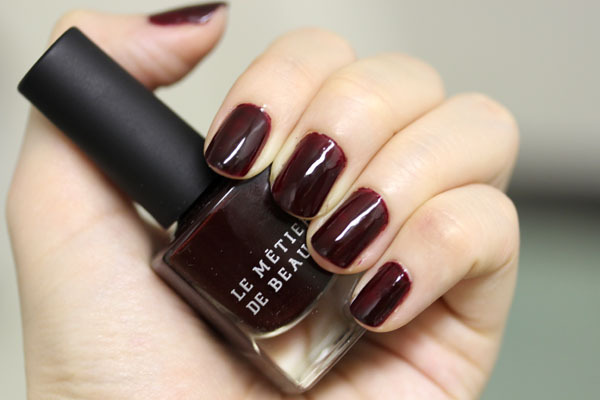 I've been wearing it alone on my lid as I find that the color stands well on its own. On occasion, I might add a deeper shade in the crease, but I actually prefer it by itself. They're not kidding about Erika F. I'd tell you to run out and get it but I know most of my readers are from the US and don't have access to it. Luckily, I have a way for you to get your hands on a piece of this magic, but more on that tomorrow (yes, I'm dangling that carrot). 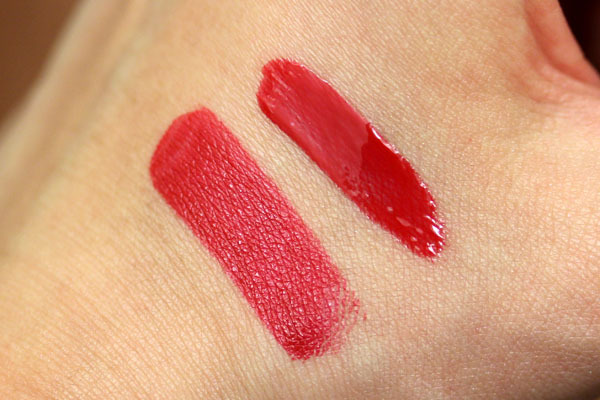 Several readers have asked what's on my lips and I'm abashed to say (ah, laziness showing through) it's actually the same lip from the most recent Lipstick Bandits post. P.S. : Messy Wands is now on Facebook! It's not a robust page by any means yet, but it'll be a better medium for me to share links (especially those with pictures) compared to Twitter. I hope to see you there!